It seems there’s no busier time for the average equestrian than during the summer. After all, this is when school’s out and work’s a little lighter so you have more time to invest in your riding and other related activities. While this is undoubtedly a lot of fun, you don’t want to get too carried away and forget to invest in some protection against the thick summer heat. In this article, we’ll give you a few tips on how to keep yourself and your horse healthy and cool as you glide across the track. Similarly, you’ll want to keep lots of water on hand so both of you can stay hydrated. 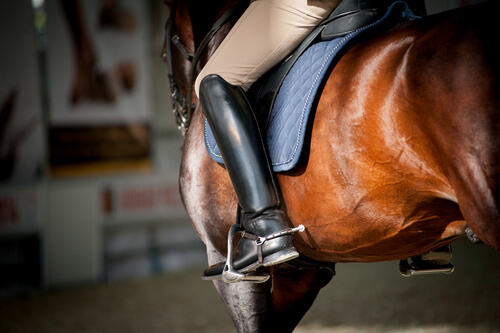 Horses heat up much more quickly and more severely than humans, meaning you’ll need to take extra care to keep them cool and comfortable as you ride together. Horse-riding is quite heavily associated with thicker clothing thanks to the nature of the pastime. You’re bobbing along on the back of your horse, potentially going through rougher patches of terrain, and you’ll understandably need protection while you travel. The problem with this is more durable clothing tends to also be warm, much too warm for riding around during the summer! This is why contacting Grifs Western can help you solve this problem, with clothes specially tailored for summer horseback activities. Consider thin pairs of riding tights, clothing in bright or light colors and any general riding gear aimed toward summer activities and made of thinner, sun-safe materials. You’ll be able to ride much easier and much longer! As stated above, horses are even more prone to overheating than humans are. You’re ultimately responsible for watching out for your horse’s health and safety, as well as signs of heat-related danger. If you’re in the middle of a ride and notice your horse has discolored gums, abnormal breathing, seems exhausted or disoriented or is sweating excessively, get her to a cool spot and stay there with her. Be sure to give her plenty of water to help her cool off. It’s also a good idea to keep the number of your local vet on-hand in case of an emergency. Give them a call if your horse fails to recover within a 10 minute span. If you follow these suggestions and take precautions, you and your horse will be able to enjoy the summer and ride smoothly. Check out our blog for other tips on how to have a safe, chill summer with your horse!